From this recipe, you might think Mary Ann from Gilligan’s Island is an employee at Luby’s. She isn’t, but guess what? You can make a coconut meringue pie with flaked coconut just like Luby’s. Coconut Meringue Pie is the perfect pie for when you want a light dessert. This pie is rich and packed full of coconut. 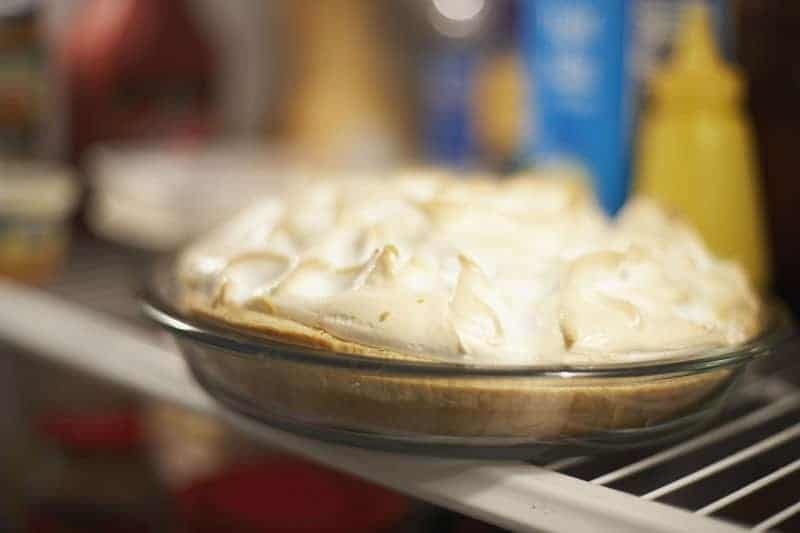 Making a coconut meringue pie from scratch isn’t something that only Mary Ann could do on Giliganís Island; it is something you can create as a special dessert anytime. don’t forget–you can find many more of recipes that taste like Luby’s here at CopyKat.com. You can make a coconut cream pie just like Luby's. For filling, combine half-and-half and butter in a saucepan. Bring just to boil over medium heat. In a medium bowl, whisk together sugar, eggs, cornstarch, vanilla, and salt until cornstarch is completely dissolved and the mixture is well-blended. Gradually add to the mixture in saucepan, stirring constantly with a wire whisk. Cook, stirring constantly, about 1 minute or until thickened. Add marshmallows and 3/4 cup of the flaked coconut. Cook and stir until marshmallows melt and mixture is well-blended. Pour into pie shells. Refrigerate at least 2 hours. For meringue, in a large bowl, beat egg whites and cream of tartar until soft peaks form. Add sugar, a small amount at a time, whisking constantly until stiff peaks form. Spread half the meringue over each pie to edge of crust. Sprinkle each with 1/4 cup of the remaining coconut on each pie. Bake 12-15 minutes or until lightly browned. Refrigerate until served. If you don't manage to eat all of your pie in one sitting, be sure to store the remainder in the refrigerator. I am going to defer to baking bites. The meringue may have been undercooked. Sometimes the way ovens cycle the temperature may have been at the low point. Here is a point of reference. I went ahead and made this. It was absolutely delicious! I honestly think it is better than Lubys. I love it!!! I’m making this on Thanksgiving for sure! Did it taste like Lubys? I think that it did.